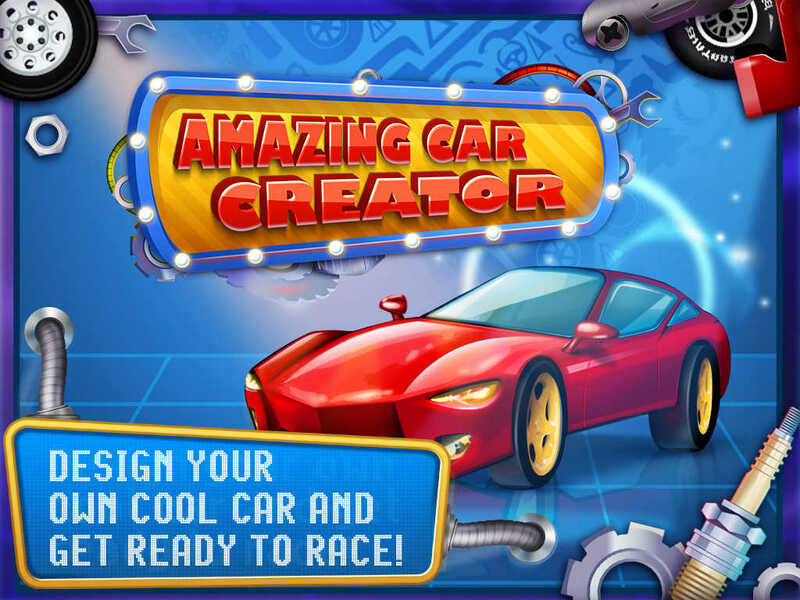 ~~> Design Your Own Cool Car and Get Ready to Race on Multiple Obstacle Courses! 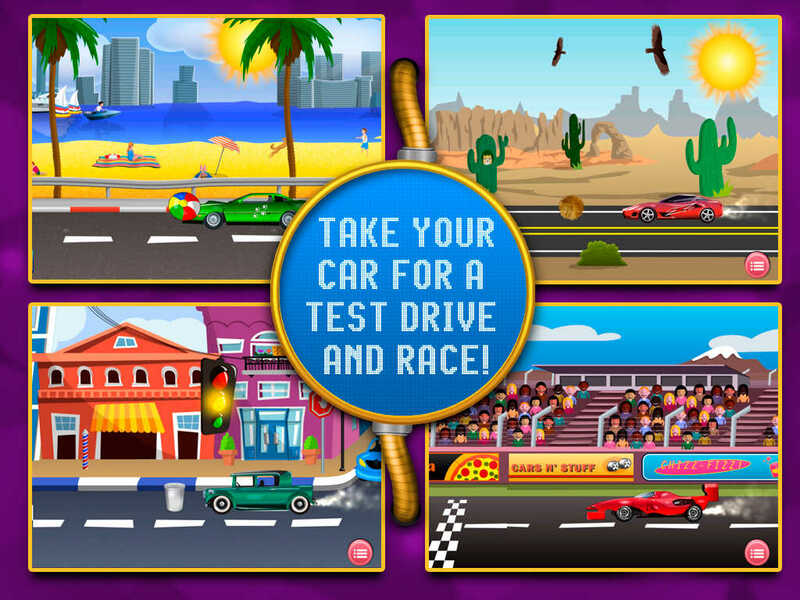 ~~> Go Luxury or Sporty - Awesome Design Features Makes this Amazing Car Game Rock! 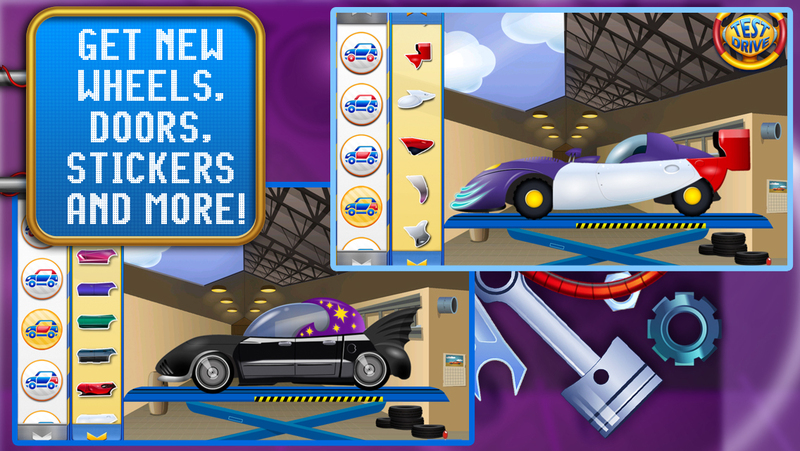 ~~> Make Stylish, Souped-Up Cars - Choose Fenders, Snazzy Doors, Sporty Tires & More! 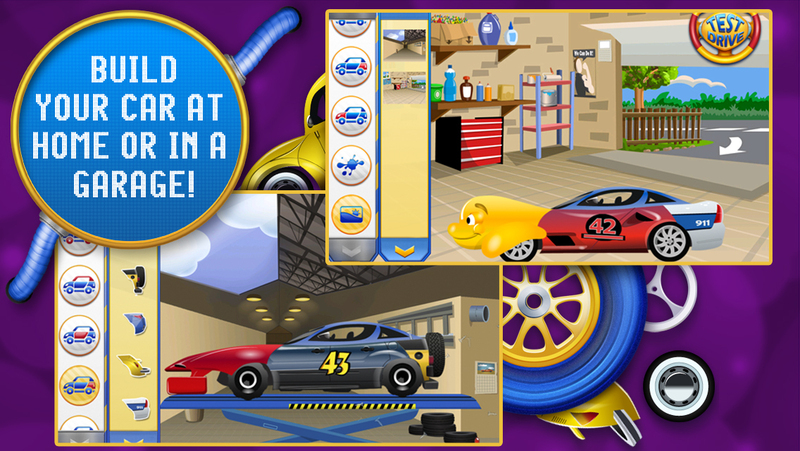 Kids will love to design their own cool, stylish, luxury or sports car. 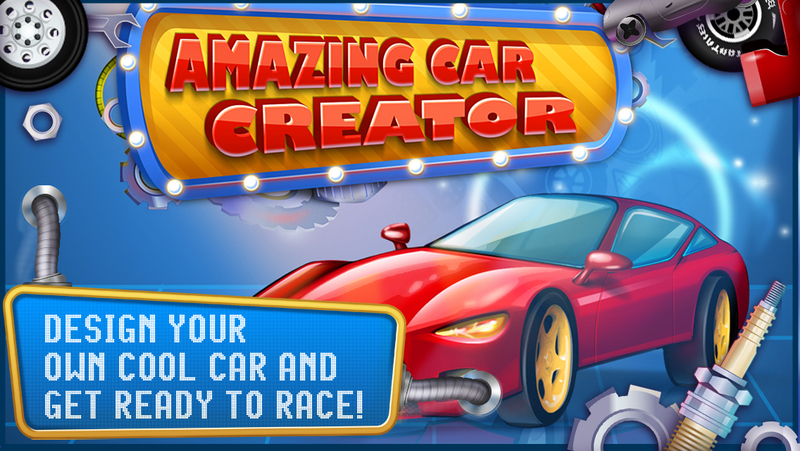 Start with 20 different models and create dozens of different cars. 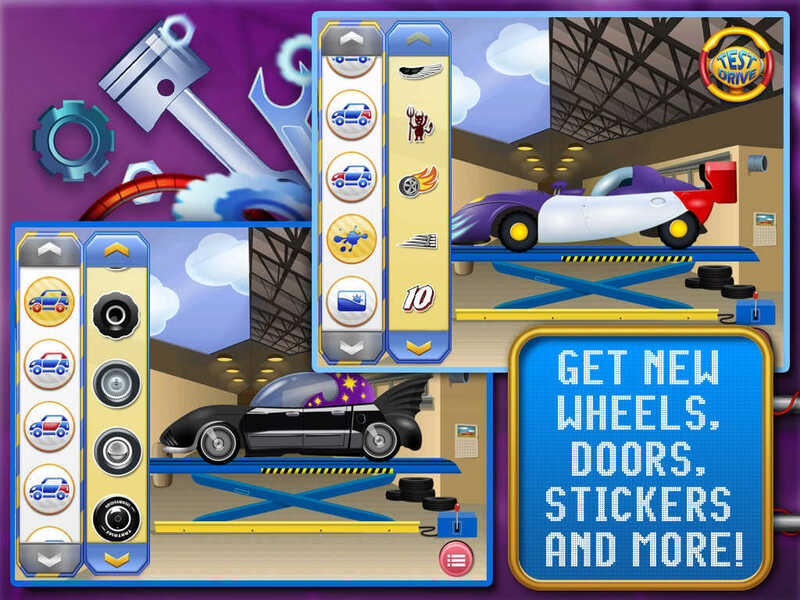 Choose snazzy and colorful doors, windows, fenders, sporty tires & more. Pick your favorite race car number for the side door and rev up your engine! Choose your course and take a ride in the desert, driving along side the beach, in the city, and on a racetrack. But watch out - there are obstacles you must avoid! Interact with the various scenes. Watch out for the beach ball and tumbleweeds as you drive from the beach to the desert. > 20 awesome fenders and 10 different rears to make the cars your own! > Accessorize your car with neat stickers, race numbers and more! > Obstacles make racing an exciting challenge - look out as you drive! > Watch out for the obstacles! 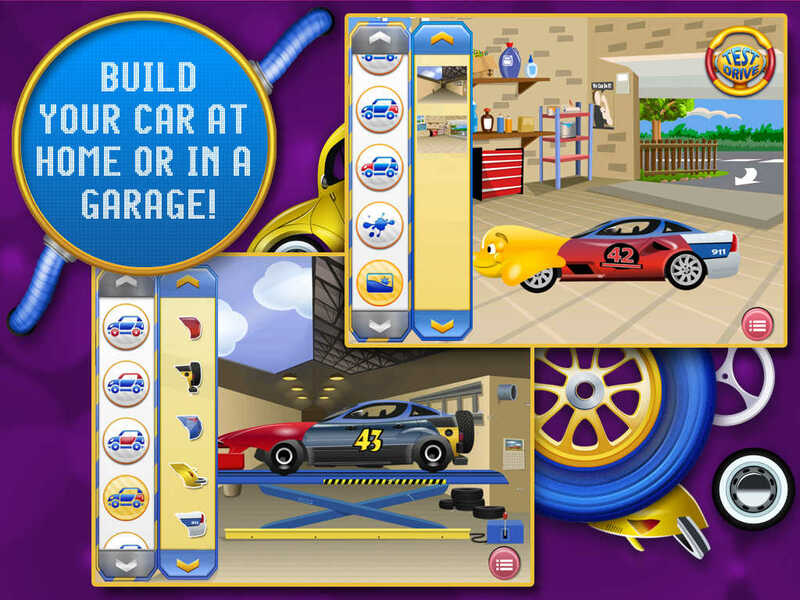 > Build your car at home or in a professional garage - you decide! > Get crafty with your kids and show your masterpieces to your friends!